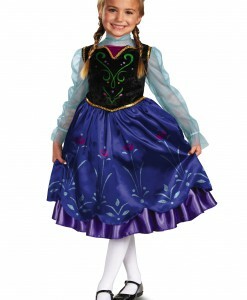 Find a way to bring warmth back to Arendelle when you dress up in one of the fabulous Frozen Halloween costumes. Imagine that you suddenly find out that you have the power to create snow and ice! In a blink of an eye, you can turn everything into a mound of snow or a block of ice. 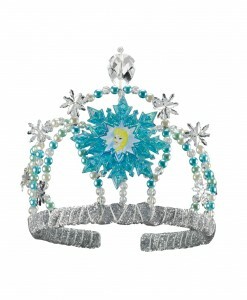 Put on the Elsa The Snow Queen costume and turn everything into ice using your magical powers. Transform yourself into a fun and lovable snowman with the Olaf Halloween costume and provide a little comic relief for your crew. 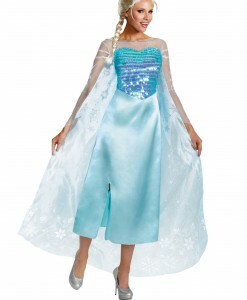 Whatever Frozen Halloween costume idea you choose, it is your duty to shop at our online store for all of your Frozen costume ideas! 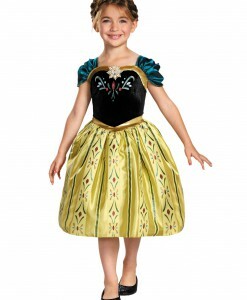 Since Frozen is such a big hit, everybody wants to dress up as their favorite characters. 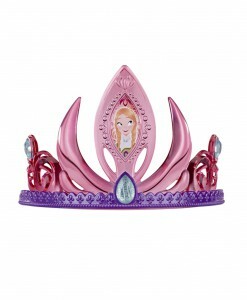 Girls and women want to be princesses or queens. What is better than the beautiful Elsa from Frozen? 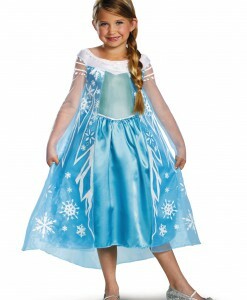 There are a lot of Frozen Halloween costume ideas for girls and women that come in amazing dresses. 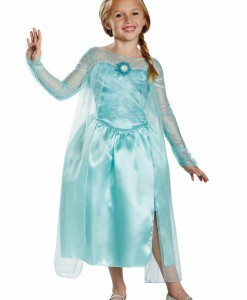 These are gorgeous light blue or green dresses that feature transparent silvery overlays with arms. 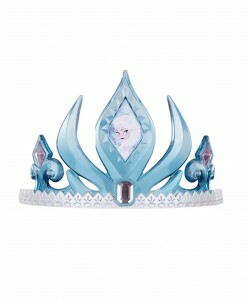 Complete your look by adding an Elsa wand, tiara, and a pair of adorable slip on shoes. 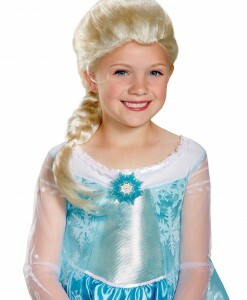 One of many things that are great about these Frozen Halloween costume ideas is that they can be worn throughout the year as long as many girls like playing dress up every day of the week. 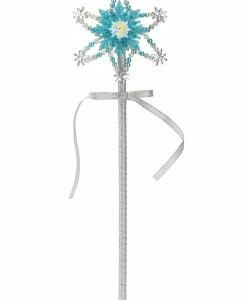 For boys, there are also some Frozen Halloween costume ideas that are perfect to put on for the next Halloween party! Olaf is a favorite for many, and this is especially great for kids. Olaf is a snowman who walks, talks, and sings. 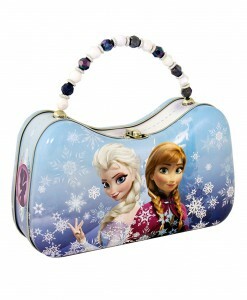 Olaf is sweet and very friendly; he embodies the sisterly love between Elsa and Anna. 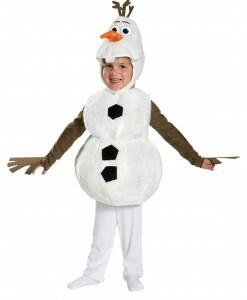 Olaf is a great Frozen costume idea for kids, especially younger kids. This Disney Frozen Olaf costume gives the appearance of the lovable snowman. The Olaf Halloween costume is a full costume that comes with an open bottom. 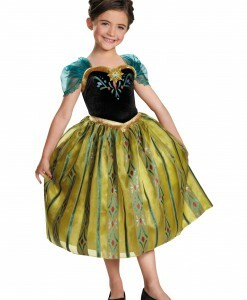 It is always a great choice for toddlers who are only just potty trained and do not want to strip a full costume off! 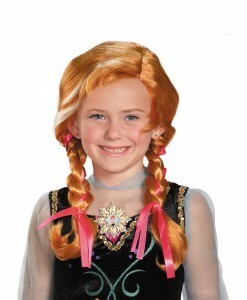 There are many other Frozen Halloween costume ideas at our online store. You could opt for Kristoff or Anna if your girl wants to be a Disney “prince.” Of course, there are also bad guys and a Prince Hans may be a great way to go.